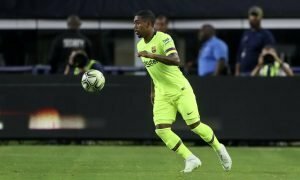 Striker 80% likely to reject Arsenal's advances and stay with current club | The Transfer Tavern | Where football transfer rumours fly or die! 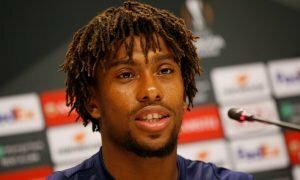 Arsenal fans in the Transfer Tavern are expressing their woes after it emerged that a top target is likely to reject a move to north London this summer. The Evening Standard states Jamie Vardy is 80% likely to turn down the Gunners advances to stay with Leicester City, where he scored 24 goals last season and helped the Foxes to surprise Premier League glory. 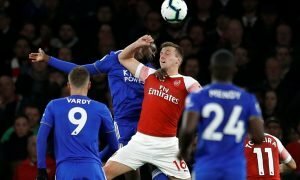 Arsenal activated the release clause in the England international’s contract last week and wanted a response from the 29-year-old before he jetted off to the European Championships on Monday- but Vardy delayed his decision. Vardy is set to announce his decision officially after England’s involvement at Euro 2016 is over but, according to sources in the England camp, the former non-league forward is 80% likely to reject a move to the Emirates Stadium. One major reason for Vardy’s rejection is Arsenal’s inability to guarantee him as a regular starter, as Vardy would compete with compatriots Danny Welbeck and Theo Walcott, as well as Olivier Giroud, for the spot at the input of Arsenal’s attack. Arsenal fans, what should you do now? Let us know in the comments below!